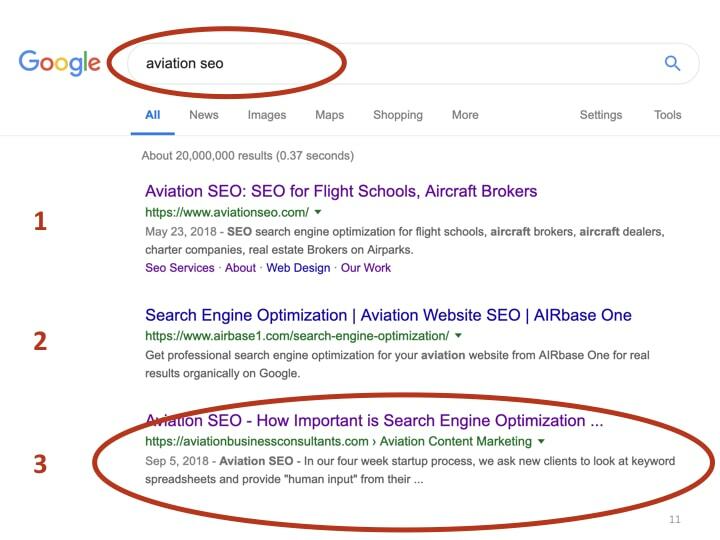 Many of the questions we’re asked most often regard Aviation SEO. I hear about these companies getting a lot of customers from the Internet. How can I do that? I keep getting solicitations from an seo company overseas to do search engine optimization (SEO), Search Marketing (SEM) or PPC or Google Ads for a low price. Is this a good deal? What’s the difference? How do I know what I should be doing, and find someone who isn’t going to just charge a ton of money and not give us the results we want? 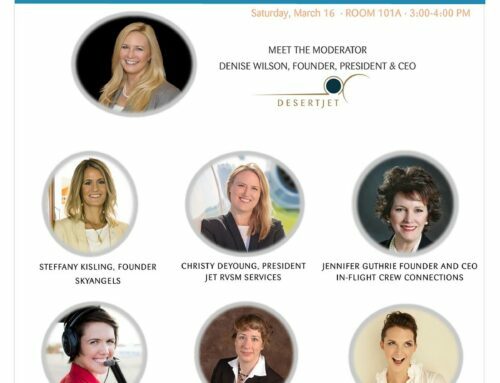 What’s really relevant in the aviation industry and what will really work for us? 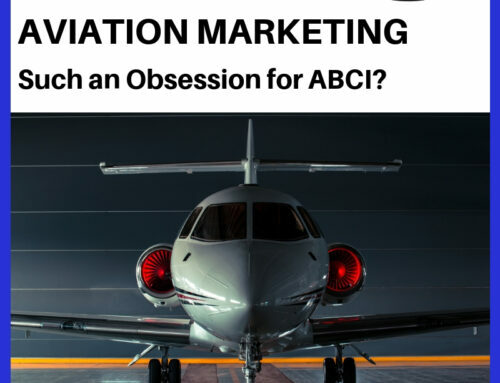 John and I attempt to answer all of those questions in this week’s podcast, by way of three examples of aviation companies we’re working with right now. In today’s podcast, we’re going to discuss three companies with different situations and priorities. The first is one currently at the top of the search engine results that has discovered a competitor creeping up on some important keywords. Another is a new website project in a very competitive market, and the third is an established company that wants to emphasize a new service they have never offered before. Organic, Natural, Paid, PPC Isn’t it all Google? First, our primary method of SEO is what they call “organic search” or “natural search.” (See our complete Digital Marketing Glossary here.) We’re not talking about Google AdWords, where they basically auction ads to the highest bidder. 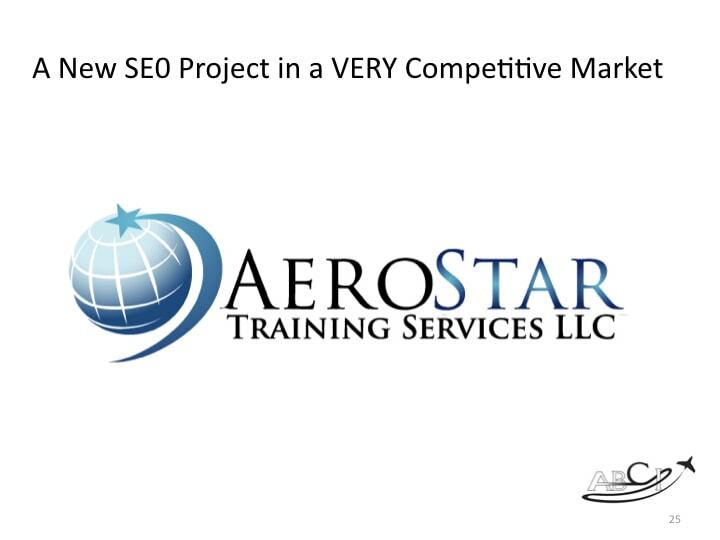 We believe this is the best SEO for aviation in the long-term and for most situations. Google Adwords is great for some things. It’s ideal for filling those last seats at an event, or an empty leg on a flight. It’s perfect when you absolutely have to sell a perishable commodity quickly. 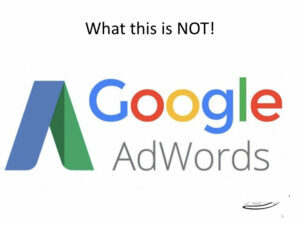 But there are a couple of problems with using Google Adwords as a regular form of advertising. It’s too expensive. We’ve seen companies spending hundreds or thousands of dollars per month (month after month!) 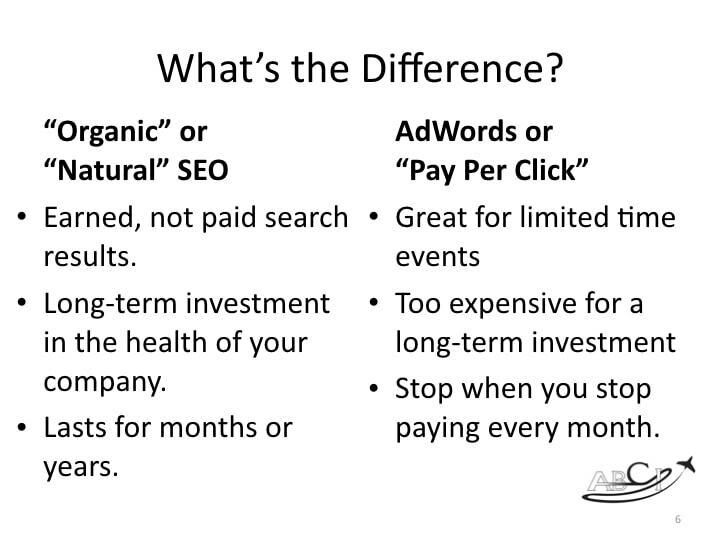 on pay per click campaigns. We hate seeing this when we know they would get better results with a better long-term strategy. You build no “brand equity,” because the ads vanish instantly as soon as you stop paying for them. Natural or organic SEO is focused on building high-quality, informative content (like articles, videos and infographics.) This “content” is much more credible and valuable to customers. They really improve the value of your web site and bring you closer to the sale than a simple ad. Of course, just as a balanced diet contains all types of foods, a marketing strategy needs many types of advertising. Organic SEO is like meat and potatoes, while Pay Per Click is more like a quick-energy sugar high of a candy bar. 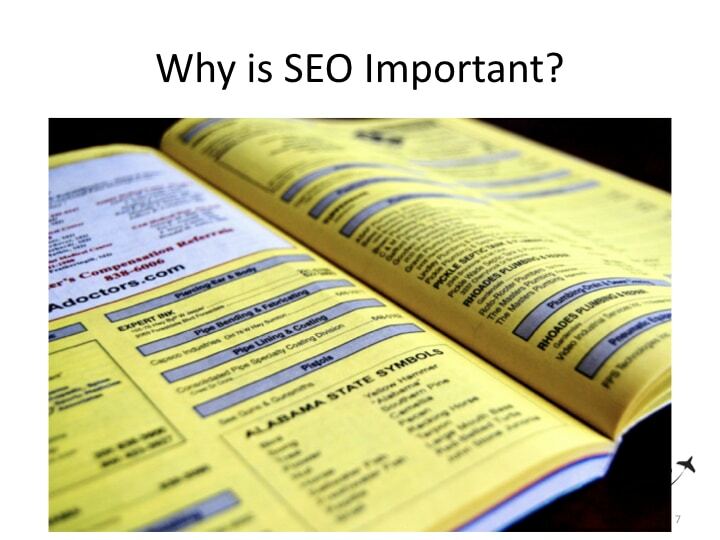 So, why is SEO important anyway? For the youngsters who have not heard, there was a big yellow paper book that dropped on everyone’s doorstep. It contained listings for all the homes and businesses in the town. 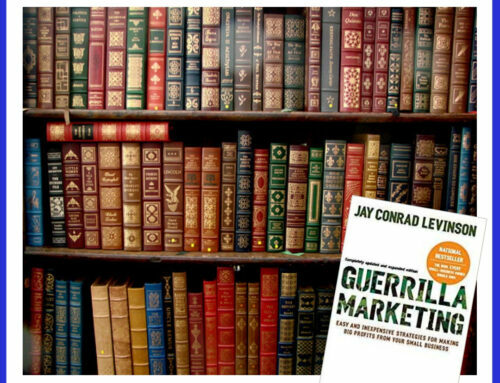 Since that time, we’ve all started doing business with people globally -and the number of companies has proliferated to be too large to be contained in any book. But most ARE on the Internet! 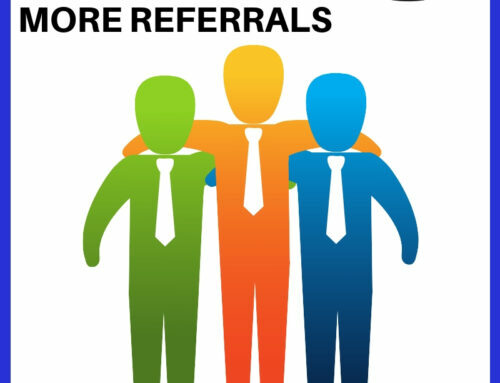 Let’s say a prospective customer has been told by a friend or colleague that your company does great work. So he pulls out his phone and types in the company name. 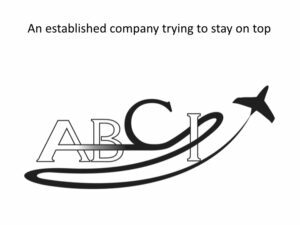 Or, in a more likely scenario, a prospective customer may NOT know your company name but only knows he happens to need a specific product or service for his plane, so he types “ADS-B compliant avionics for a King Air” into his phone. Never know you’re an option. Wonder if you’re still in business. Think you’re struggling financially and can’t afford to keep up with such things. Assume you’re not interested in new business. In any case, the bottom line is they buy from a competitor (who they can find easily) rather than you. Most folks don’t have much time to chase down mysteries these days. They expect a quick Google search for aviation stuff will work just as it does for anything else they’re looking for! Since we offer SEO as a service, it’s REALLY important for us to stay (or near) the top of the search results for all of the keywords that are importnat to us. But like most companies, we put our clients’ work ahead of our own, and the nature of marketing applies to us too – when we’re busiest, the important but not urgent tasks can slide off the bottom of the list. Clearly, something must be done about this! 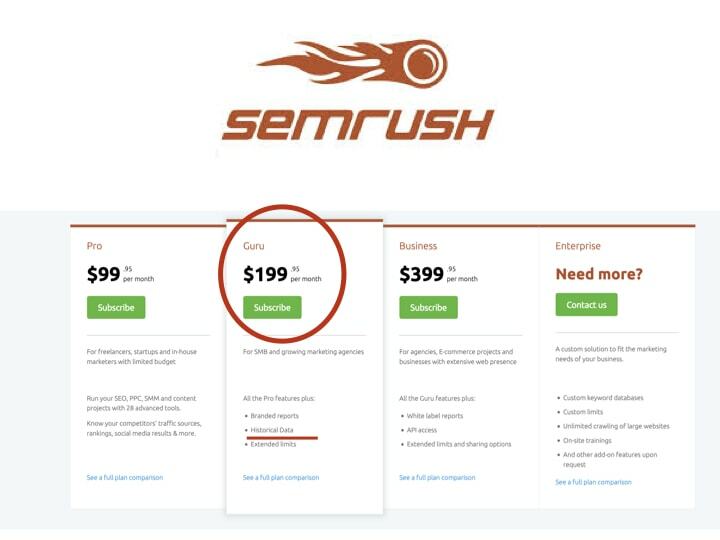 If you were to purchase the level of SEMRush we’re using, you’d need the Guru version. 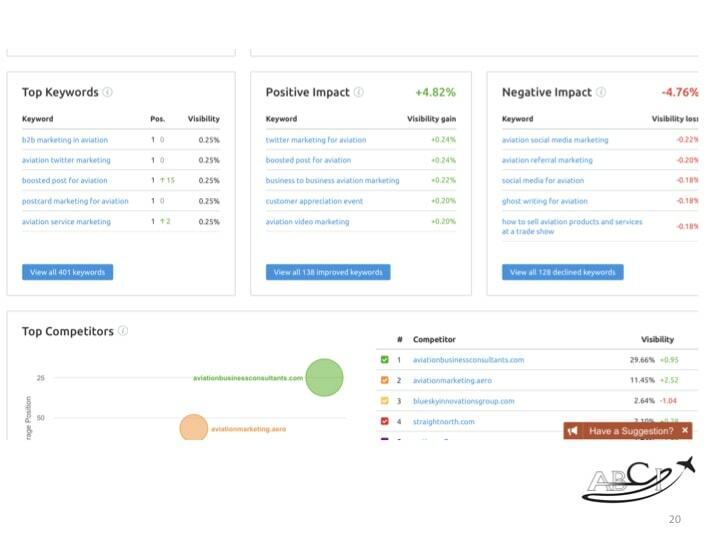 We started using SEMRush in January 0f 2017, and we were pretty excited about it. 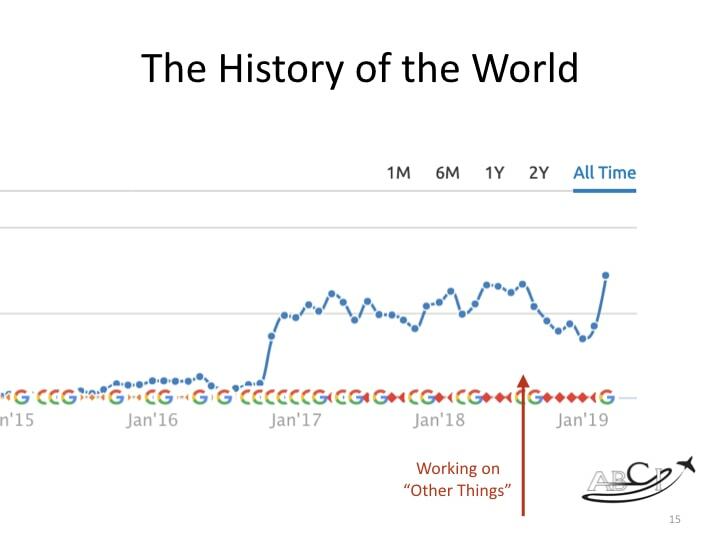 As you can see from the traffic chart below, we went from very little traffic to hovering around 200 visits per day within a couple of months. But like many other things, we think we’ve got something handled and we turn our attention elsewhere. Search engine results are pretty durable, but they don’t last forever without some touchup work. 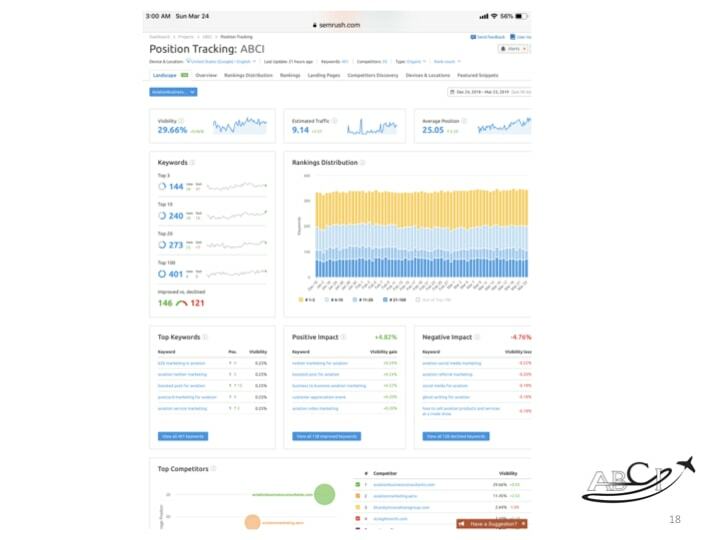 In summer of 2018, we were VERY busy with client work, and our own SEO efforts slacked off a bit. We dipped below our 200-visits a day average which had been our “base” fairly consistently for years. 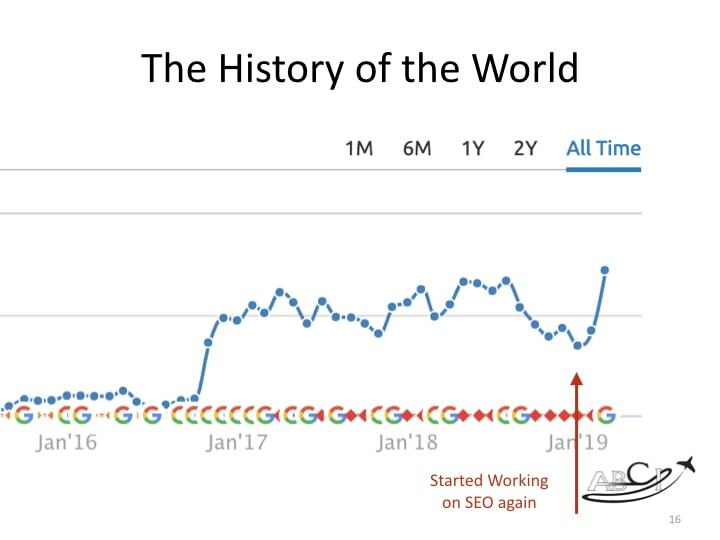 In January of 2019, we were determined to make our own SEO a priority again. And you can see that achieved some pretty good results pretty quickly. Of course that overall traffic level doesn’t reflect every single keyword, and there a few stragglers. 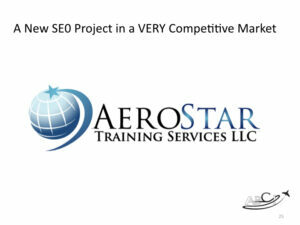 such as “Aviation SEO,” which we’re targeting now. 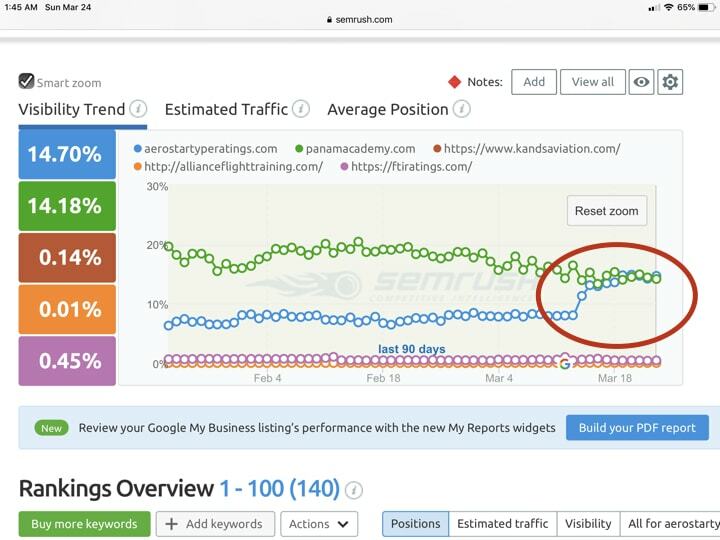 Of course, one of the reasons we were inspired to devote the time to improve our own SEO results is because there are a few competitors sneaking up on our position for a few keywords we care about. 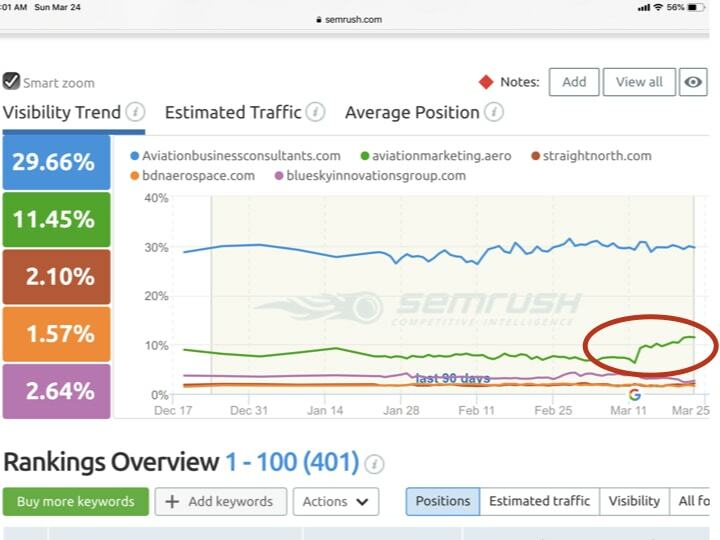 This is a “visibility trend” chart from SEMRush that shows us where we stand in comparison to others in terms of visibility for the 400 keywords and four competitors we’re tracking. 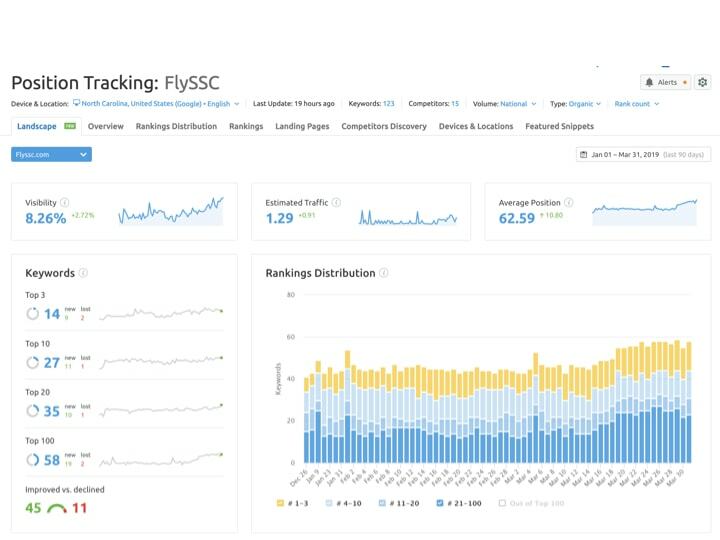 Recently they’ve developed a dashboard that’s really helpful – this gives a 90-day view of visibility, estimated traffic, and average position for our tracked keywords. 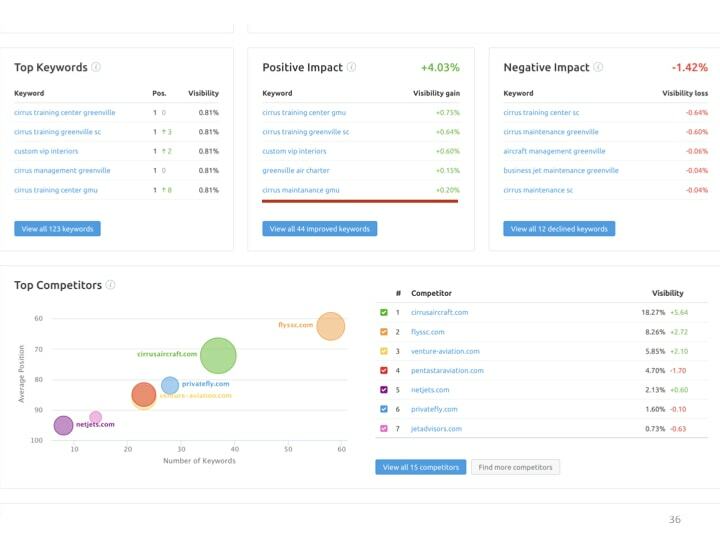 This dashboard also reports on which keywords are sending us the most traffic, which have improved and which have declined lately. This is all very well, but specifically, how do we decide which keywords we want to improve? We don’t have unlimited resources, after all, so we like to narrow things down to ten keywords at a time will do the most good. 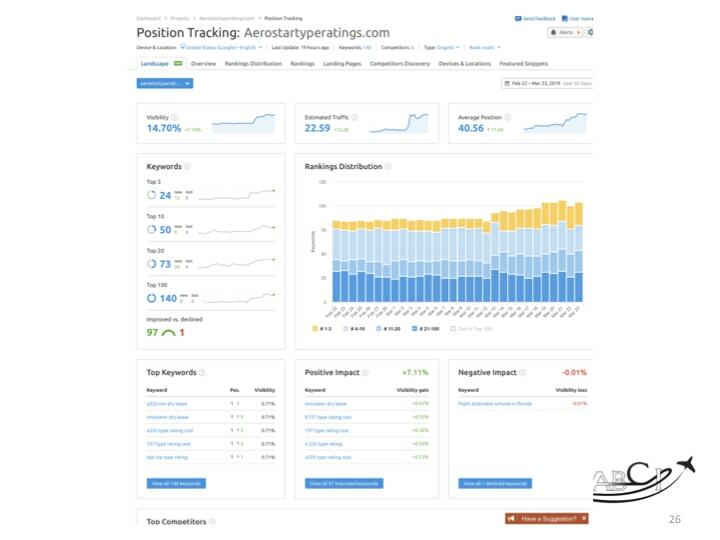 So, the ideal keywords have high relevance, high popularity, and low competition. Once I have identified the best keywords to focus on, I plan some of our podcast episodes and other content around them. I can do this confidently because I know that our ideal customers are looking for information on that topic, and we can almost always write something more specific or helpful than the information that’s already on the web! So, how do you stay on top of SEO? Build new content that people actually need! (Articles or blog posts, video, infographics, etc.) Optimize a web page around that content. AeroStar Training Services is a fantastic flight school in Kissimmee Florida. It’s the only place we know of where you can start with your first discovery flight and earn your private, instrument, multiengine, commercial, CFI and CFII (if you want to be an instructor) and eventually graduate with a type rating for the popular Airbus A320 or Boeing B737. Great school that was started by and for airline pilots. In any case, flight instruction is a VERY competitive market, especially in Florida! There are a LOT of flight schools with a lot of resources gunning for those potential students. We use the same method of selecting keywords and building informative content. And you can see how it’s working. 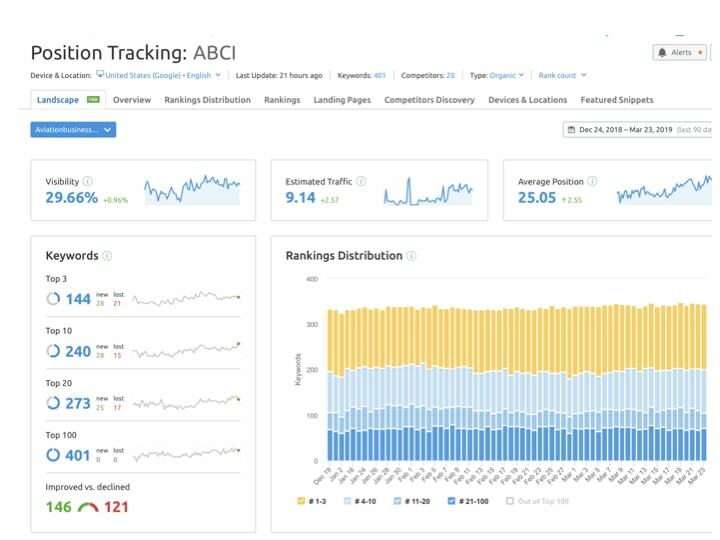 All of this is publicly available information, you can get traffic data from Google for any website on the Internet, but we’ve never had it so easy to see and work with! And you can see how AeroStar is closing in on a competitor. So they’re the underdog, here. But won’t be for long! 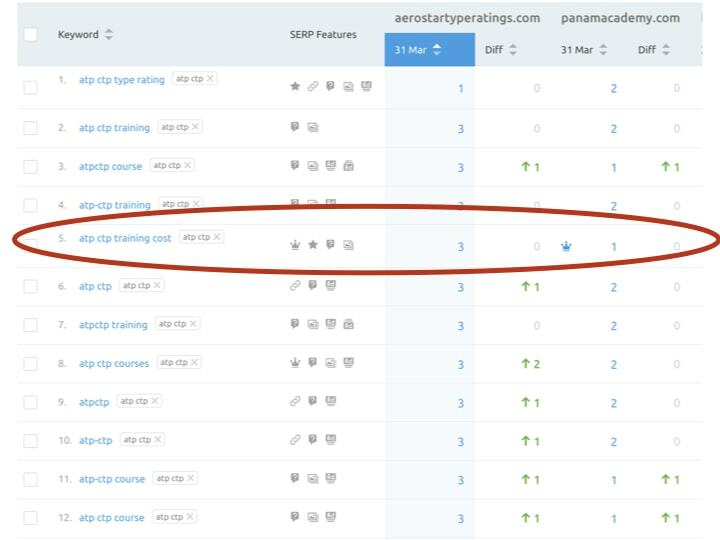 Once again, we’re using those same priorities to zero in on keywords to target – where we have some room for improvement but that are very popular and a lot of people are looking for answers to a particular topic or question. 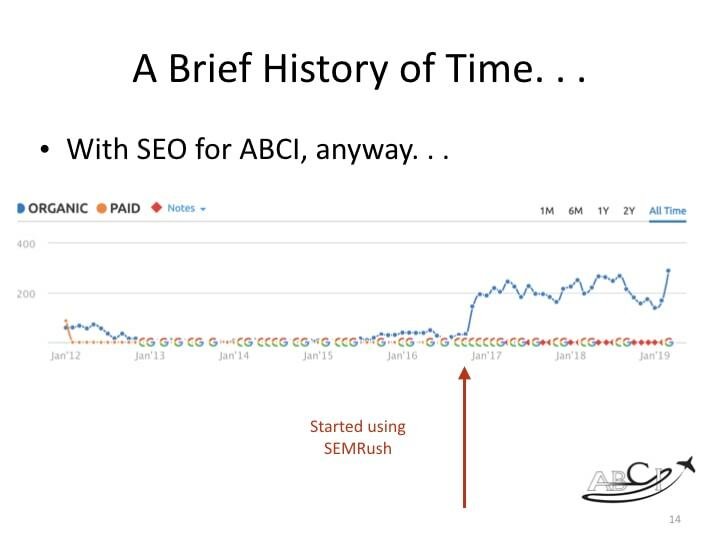 So, our method for catching a competitor with great SEO results? 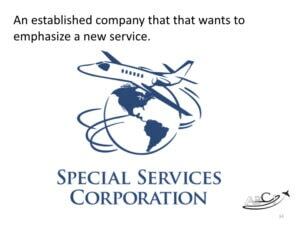 Special Services Corporation is well known in Greenville, South Carolina. 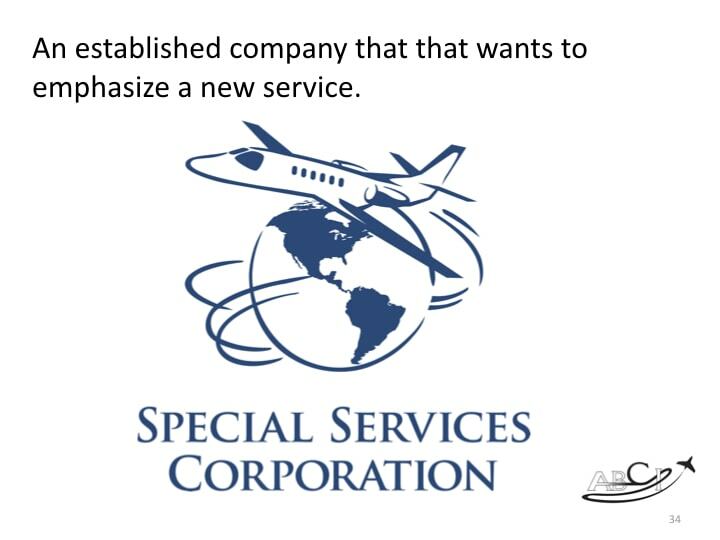 They provide charter flights to popular destinations in the Northeast, like Florida, the Bahamas, and many of the sporting events and business conventions in the area. 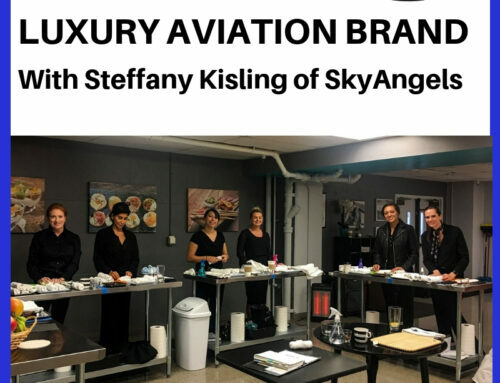 They manage aircraft, provide maintenance services, and are a center of the local aviation community. And they’ve been working with ABCI for SEO and marketing services for years. Recently, we added a set of keywords to their SEO campaign about popular Cirrus aircraft maintenance tasks. And we’re seeing the results! And we may notice new competitors for new products and services we offer! So, our method for getting known for a new product or service? 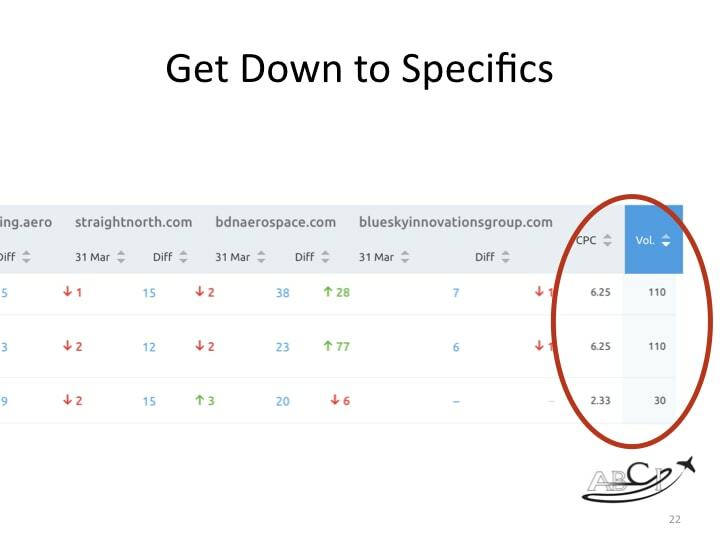 SEO is often one of the most cost-effective ways for small to medium sized aviation companies to help customers find them. It is certainly less expensive than trade shows and print advertising, and is a great addition to any advertising program. But the key in every case is building high-quality articles, videos and infographics that your ideal customers actually want. We use the tools and tricks of the trade to pick the right keywords and to ensure that our clients’ materials are getting indexed correctly, but there are really no shortcuts or gimmicks that will work long-term. 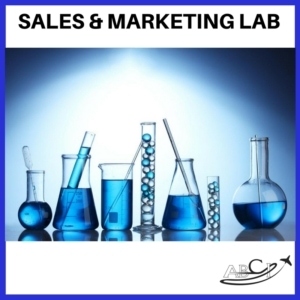 Our Aviation Marketing Lab was designed to leverage some of these high-powered tools and techniques on the behalf of our clients, so they get the economies of scale to get good answers to their questions and know exactly where to deveote their resources for best results. Want to talk about YOUR website? Call 702-987-1679 or click here to schedule a free consultation! SEO is now one of the greatest way to be known that’s why it’s beneficial to learn it and make use of it. Thank you for sharing this. It very helpful information and I will follow your case studies about the aviation.